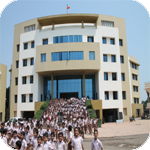 Shree Swaminarayan College of Computer Science is affiliated with the Bhavnagar University. 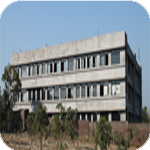 The college is granted by 60 seats and the medium of instructions and examination will be English. The counseling and admission process for the candidates will start as per the schedule. It will be notified at all the centers mentioned below. The candidates are advised to refer to the University departments. At the following centers, candidates can buy and submit application form, where all the details regarding their no, exam centers, result etc. will be displayed. The candidates can collect the prospectus and application form from any of the center given above by paying Rs. 500/- in cash only. The candidates can also obtain the prospectus and application form by post from the GCET office at Surat only (address given in the General Information Section), by remittance of a bank daman draft of RS. 550/- drawn in favor of "GCET- 2009" payable at Surat along with a self addressed duly stamped envelope ( size 12" * 8"). Selection for admission to MCA will be made on merit. Determination of merit for admission to MCA will be based entirely (100%) on written Test only. In case of tie between student, the criteria to be followed in an order are given hereunder. More number of correct answers in GCET test, percentage marks in std. 12th , percentage marks in 12th std. 10th , Birth date. All the candidates are required to submit their application form complete in all the respect to the office before 5.00 PM by mentioned date of 2009. The candidates is required to submit the application form at the center where he / she has opted to appear for the test. The candidate may also send application form by post ( but at GCET office Surat only, so as to reach the GCET office not later than the last date and time of submission of application form). It is essential to send a self- addressed stamped envelope along with the application form for receipt of the admit card. If a candidate does not receive the admit card 5 days before the examination he /she is advised to inquire at the GCET office. The candidate may submit the downloaded form at any center in person by paying RS.500/ in cash or may send the downloaded form by post at GCET office Surat along with a bank demand draft of RS.550/-in favor of "GCET- 2003" payable at Surat along with a self addressed envelope for receipt of Admit card. without necessary fees the application will not be accepted. 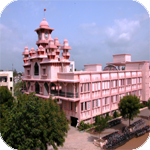 Shree Swaminarayan College of Computer Science is affiliated with the M.K.Bhavnagar University. 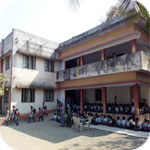 The college is granted with 60 seats in M.Sc.IT. The medium of teaching and examination is English. 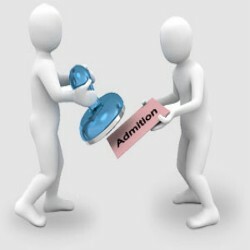 M.Sc.IT Students are admitted after the application form is filled and registered and considered by the correspondent. Admissions are open to students of all sectors, irrespective of the caste, creed and color without any racial discrimination. Candidates for admission to two year (4 Semester) M.scIT course is as per the M.K.Bhavnagar University's rules. Bhavnagar - 364001 [Gujarat- INDIA]. Candidates are requested to bring an amount Rs. 20/- as a fee for receiving the admission form and registering for the admission procedure. Shree Swaminarayan College of Computer Science is a professionally managed organization imparting high quality of knowledge in the field of Computer applications. To get an admission and education is a golden opportunity in this highly spiritual and ethical environment along with professionals with competitive attitude. Admission will be given by Central Admission Committee formed by M.K.Bhavnagar University. Fees for M.SC.It students is 12500 /- Rs. per semester that includes Education Fees and Library Fees. Students will have to pay Exam Fees as per M.K.Bhavnagar University's Rules and Regulations. 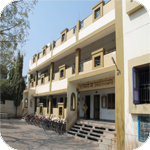 Shree Swaminarayan College of Computer Science is affiliated with the M.K.Bhavnagar University. 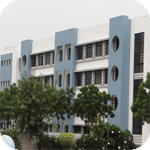 The college is granted with 40 seats in PGDCA. The medium of teaching and examination is English. PGDCA Students are admitted after the application form is filled and registered and considered by the correspondent. Admissions are open to students of all sectors, irrespective of the caste, creed and color without any racial discrimination. Candidates for admission to one year (2 Semester) PGDCA course is as per the M.K.Bhavnagar University's rules. Fees for PGDCA students is 10000/- Rs. per semester that includes Education Fees and Library Fees. 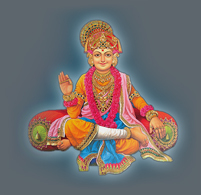 Shree Swaminarayan College of Commerce and Management is affiliated with the M.K.Bhavnagar University. 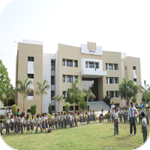 The college is granted with 60 seats in MSW. The medium of teaching and examination is Gujarati. MSW Students are admitted after the application form is filled and registered and considered by the correspondent. Admissions are open to students of all sectors, irrespective of the caste, creed and color without any racial discrimination. Candidates for admission to two year (4 Semester) MSW course is as per the M.K.Bhavnagar University's rules. Shree Swaminarayan College of Commerce and Management is a professionally managed organization imparting high quality of knowledge in the field of Business applications. To get an admission and education is a golden opportunity in this highly spiritual and ethical environment along with professionals with competitive attitude. Admission will be given by Central Admission Committee formed by M.K.Bhavnagar University. Fees for MSW students is 5000 /- Rs. per semester that includes Education Fees and Library Fees.